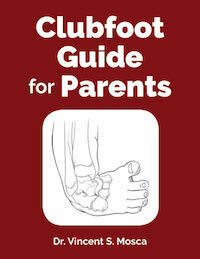 Now updated to a new second edition, this is an accessible companion flyer to the book "Clubfoot: Ponseti Management". Chinese translation by Lin Feng. Greek translation by Christina Neila. Hindi translation by Dhiren Ganjwala. Malayalam translation by C. Cheriyan Kovoor, Annie John, & Maya Cheriyan. Nepali translation by Sumesh Khanal & Bhaskar Raj Pant. Russian translation by Petr Vvedenskiy. Tagalog translation by Florence & Renilda Tijones. Tamil translation by AbdulSalam ShahulHameed.